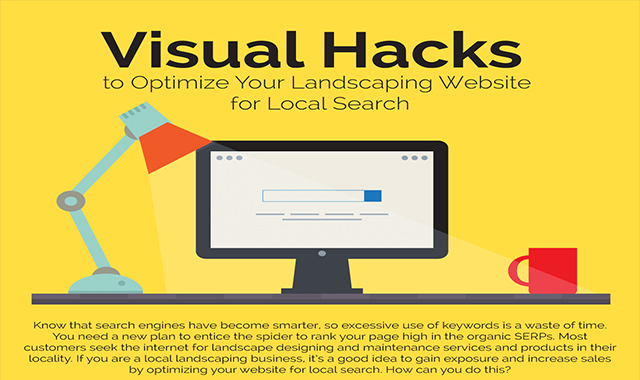 Visual hacks to optimize your landscaping website #infographic ~ Visualistan '+g+"
In the last five years, IBIS World records that due to the growth in property sale both domestic and commercial, the demand for landscaping products and services has increased tremendously. The annual revenue of landscaping business is around $76 billion, with a yearly growth of 3.4%. In fact, landscape design, especially residential topography and neighborhood development plans account for almost 40% of the total landscaping industry revenue. Over the years the landscaping industry has flourished, bringing in new ideas to embellish natural spaces with softscape and hardscape elements. The landscape business covers all geographical locations from urban settings to the highlands and suburbs.